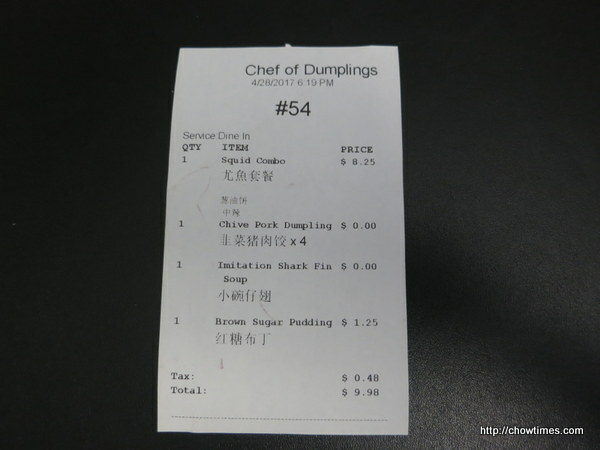 We added a dessert to our combo meal and the bill came to $10. 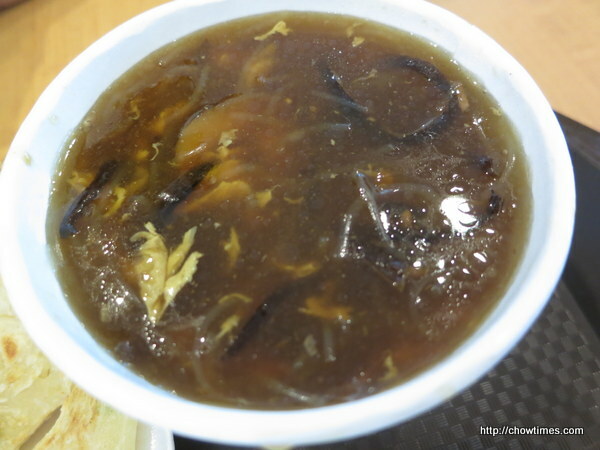 The Hong Kong style imitation shark’s fin soup was pretty good. 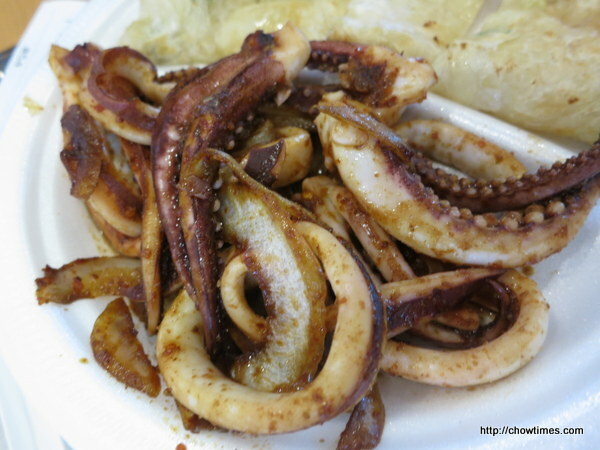 Our choice of meat was calamari flavoured with cumin with medium spiciness. 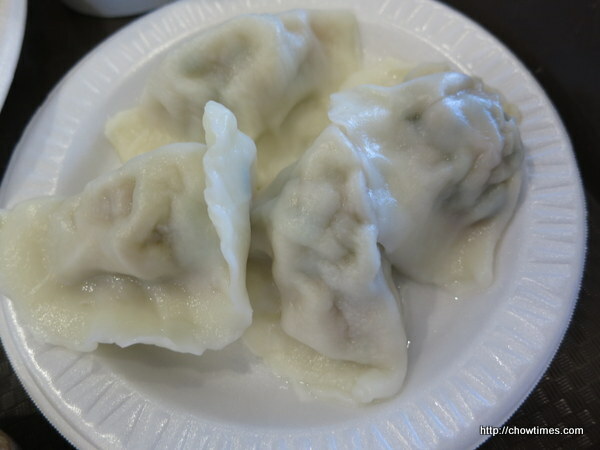 We opted for the Chinese Chive and Pork for our dumpling. They were boiled. 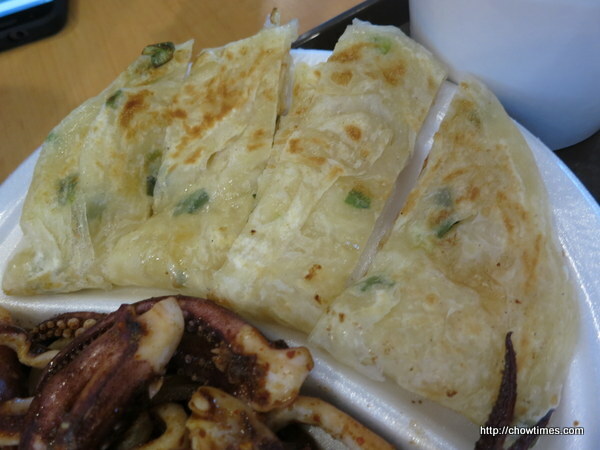 As for the pancake, we had the Green Onion Pancake. I noticed that this was cooked from frozen. We had a Brown Sugar Pudding for dessert. 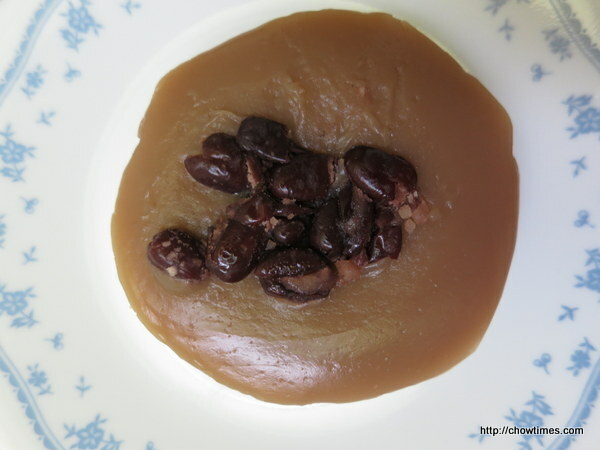 You can find the recipe for this type of pudding here. Credit card is accepted for bill above $10. 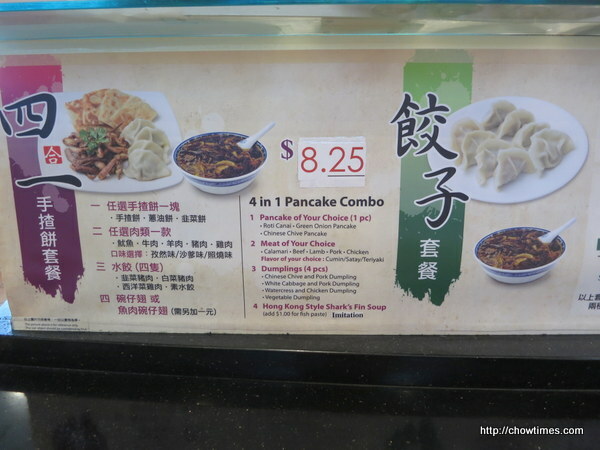 While I was waiting for my order, Lorna walked up to the same stall to have her dinner. What a coincidence. 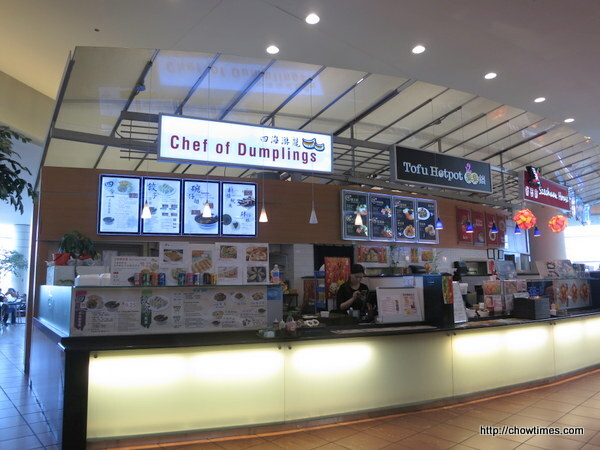 She told me this is her favourite stall in Aberdeen Food Court. She loves the soup and her choice of meat is usually lamb.